This summer Rachel and I have been gearing up for something we both thought we would never do – homeschooling! For a variety of reasons we have discerned this is the best path for our family in the near-term. As we have tried to dig ourselves into the world of curriculum for elementary school age children, we have found out just how much education has changed since we were little! One of our favorite resources that we stumbled upon as we’ve tried to put together a stellar plan is the “timeline” song used by some who take the classical approach to education. If you have never heard it before, you should look it up on Youtube. It is sung to a relatively catchy tune for elementary age children and will refresh your memory on everything you were once taught in history classes that you have long forgotten. The song lasts almost 13 minutes and ends with a reminder to the children that they are now part of the time-line of history and indeed can make some history of their own! Ecclesia is coming up on 10 years since we “officially” started this Fall. Our time-line began with a collection of 4 churches scattered across the country who envisioned a family on mission with one another. The task of cultivating faithful expressions of the gospel in community seems more daunting now than when we first began a short decade ago. The cultural landscape in the US has changed a great deal during that time, presenting great challenges to the people of Jesus who wish to provide a faithful and compelling witness. Yet, with those great challenges are also great opportunities. As I’ve thought about Ecclesia’s timeline and the timeline of many of the churches within our network, I know that many of you have experienced a season of challenge in the last year. Some of you hoped that the challenges of 2016 would not carry into a new year. For some that has turned about to the case, for others you find yourself still amidst of hardship. In many ways, what the churches of Ecclesia experience in their life is what “we” as a network experience. If it’s a tough year financially for you, it becomes a tough year financially for us. If you are navigating thorny issues and conflict, we are navigating thorny issues and conflict, because we are committed to walk together. Simultaneously, when new people enter the kingdom of God, or a family or neighborhood begins to be transformed, we all celebrate that with one another. As I look over our collective timelines and with the jingle of the “timeline” song in my head, it’s a relief to remember that history is full of ups and downs, of seasons of fruitfulness and seasons of pruning. The fruitfulness comes in cycles, as does the pruning. Some years back Mike Breen spoke at our Ecclesia National Gathering and he reminded us that in seasons of pruning, our primary task is to abide (John 15). We draw close to Jesus during those moments, we place ourselves mentally, emotionally, spiritually, and physically at rest and under his care. We connect ourselves more to the source of life and in so doing, we will be renewed when the season of fruitfulness comes again. Just as we are intended to abide and Christ during those moments, I hope that we can also abide/remain/be connected to one another. For those who are in a different season, we celebrate with you and share in the joyful progress of the ministry Christ has given to your hands and heart. It’s a tangible reminder that these seasons come and go. In truth, it’s rare that fruitfulness and pruning are that distinct from one another. The reality is that often they are both happening simultaneously, but our experience is identified by one more than the other. Recently I was visiting a network church and talking with one of our pastors who was sharing with me how they occasionally lament that they don’t have a building as it often feels like a barrier to growth in their community. He then went on to tell me how his wife recently corrected him about his lamentations as they have 80-100 people within their congregation who really “get it” and are genuinely pursuing Jesus and His mission. As he sat with those words he told me that he came to see what a beautiful thing he has caring for in those 80-100 people. I couldn’t agree more. Whether you have 500-1000 in your congregation (as some churches in Ecclesia do) or 30-40 (as others do), helping the people of Jesus loves to grow up into the measure of the statue of the fullness of Christ is an awesome and history making task within itself, particularly as you help them come to understand their role in the great time-line of God’s kingdom action here on earth. Each week you preach or pray or create or counsel is a critical task. And, in spite of the odds, we can take great joy in knowing that those who have gone before and those who will come after have felt this same way. So, let’s take joy in hardship and celebration and let’s do it together! Working with church leaders to develop new expressions of Christian community and connecting those congregations together is the passion of Chris’s life. He has served as National Director of Ecclesia since it’s beginning and has been part of several congregations within the network both in Virginia and Maryland. In addition to his role with Ecclesia, he also helps spearhead Fresh Expressions US and Missio Alliance. Chris holds a D.Min. in Missional Church Leadership from Fuller Theological Seminary where his focus was on the importance of church networks for the future of mission in North America. 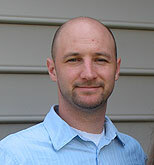 He currently lives just north of Harrisburg, PA with his wife Rachel, daughter Elliana and son Jase. Working with church leaders to develop new expressions of Christian community and connecting those congregations together is the passion of Chris’s life. He has served as National Director of Ecclesia since it's beginning and has been part of several congregations within the network both in Virginia and Maryland. In addition to his role with Ecclesia, he also helps spearhead Fresh Expressions US and Missio Alliance.